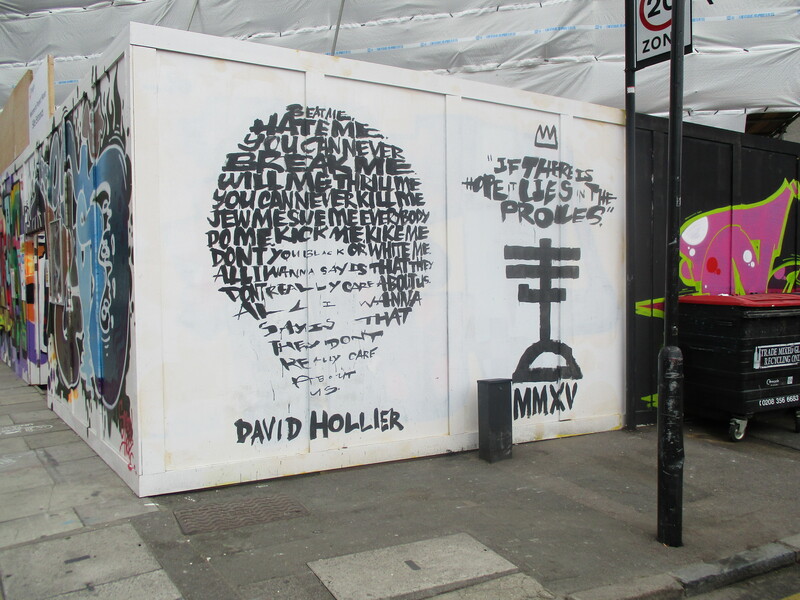 Over the last couple of weeks London was treated to a visit from English born, but US based Street Artist David Hollier, returning to his native country and whilst over laid out two works in the capital. 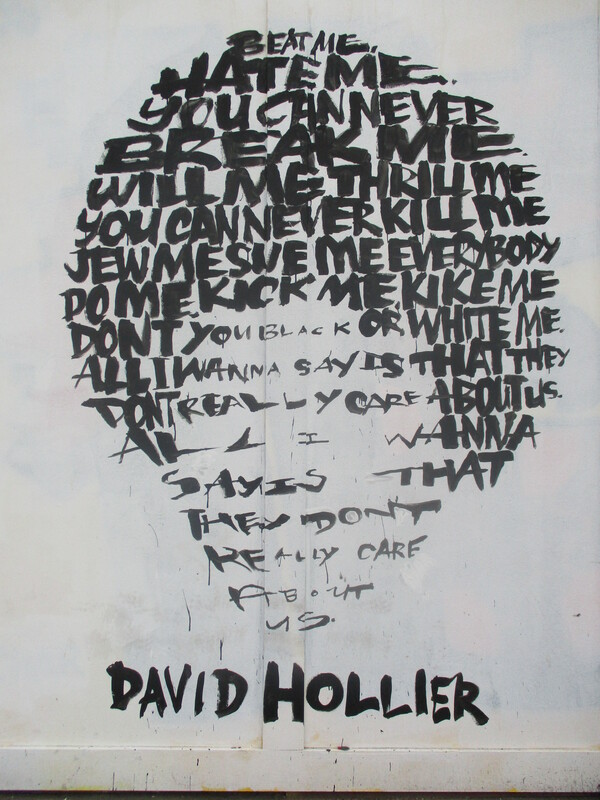 David Hollier’s distinctive works feature portraits of notable people in popular culture and history made up through words, often with relevance to the chosen subject. 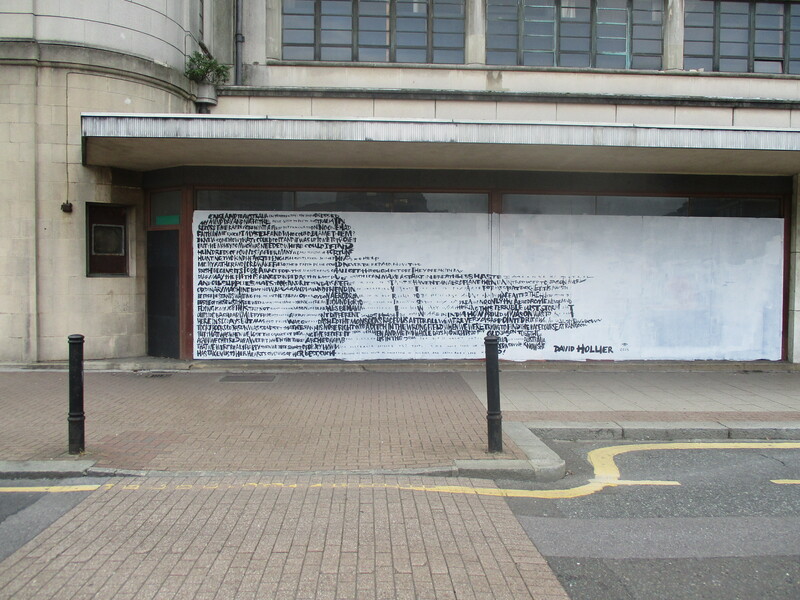 The first and more impressive work of the two was laid out in Croydon’s Arts Quarter and features a depiction of Amy Johnson, whilst the second work was hit up in Shoreditch and features a portrait of Michael Jackson. 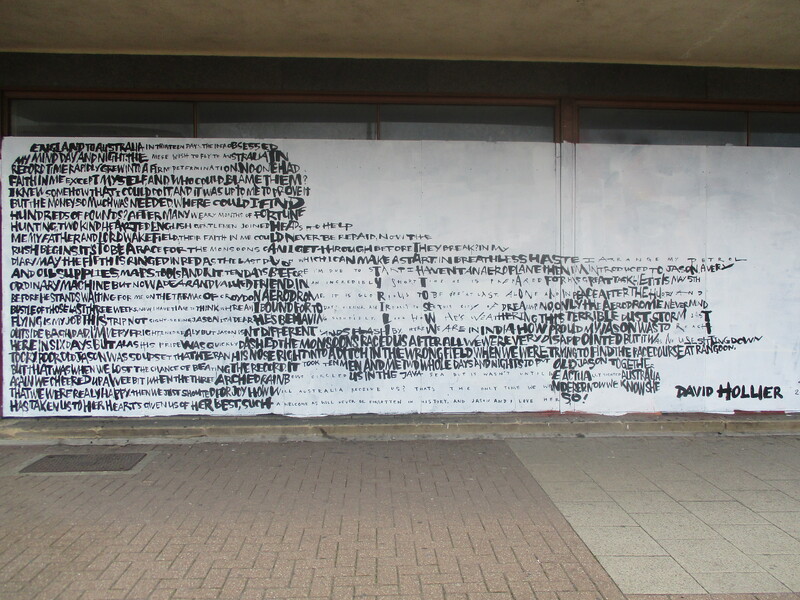 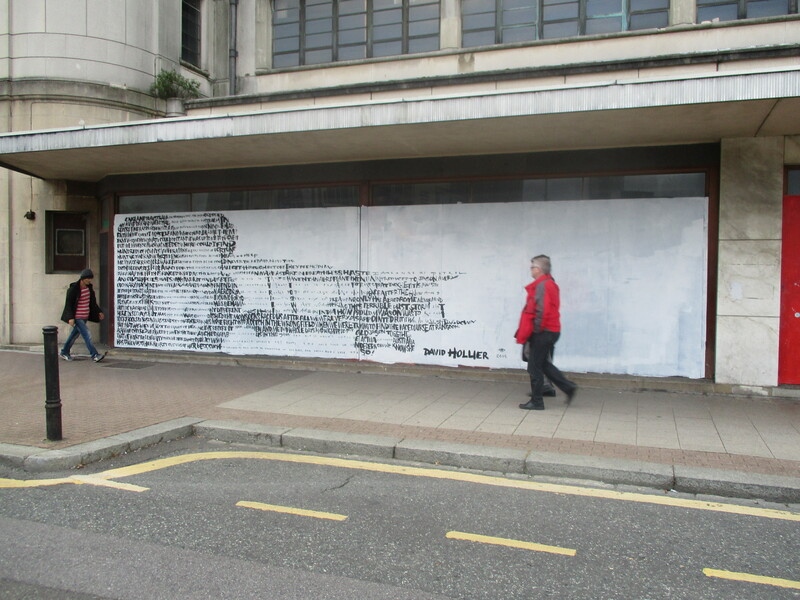 This superb and captivating work in Croydon features aviation pioneer Amy Johnson, with a particular symbolic placing in Croydon as she was the fist woman to fly solo to Australia, taking off from Croydon Airport in 1933. 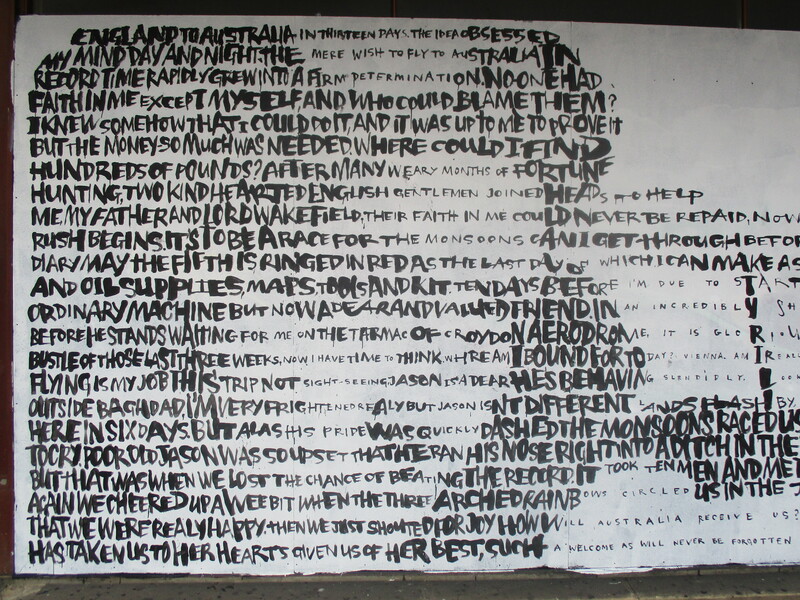 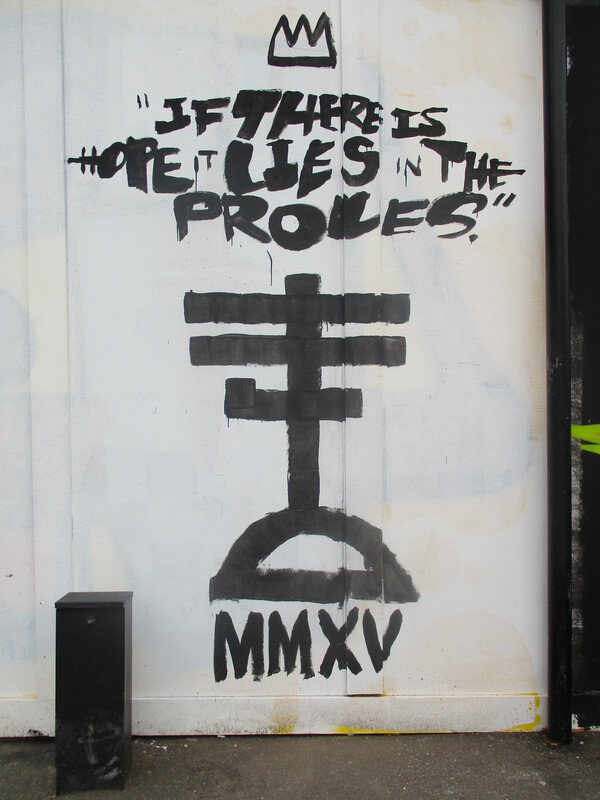 This work placed up in Shoreditch, just of Great Eastern Street, Shoreditch, and features an image of Michael Jackson, composed from the lyrics to ‘They Don’t Really Care About Us’. 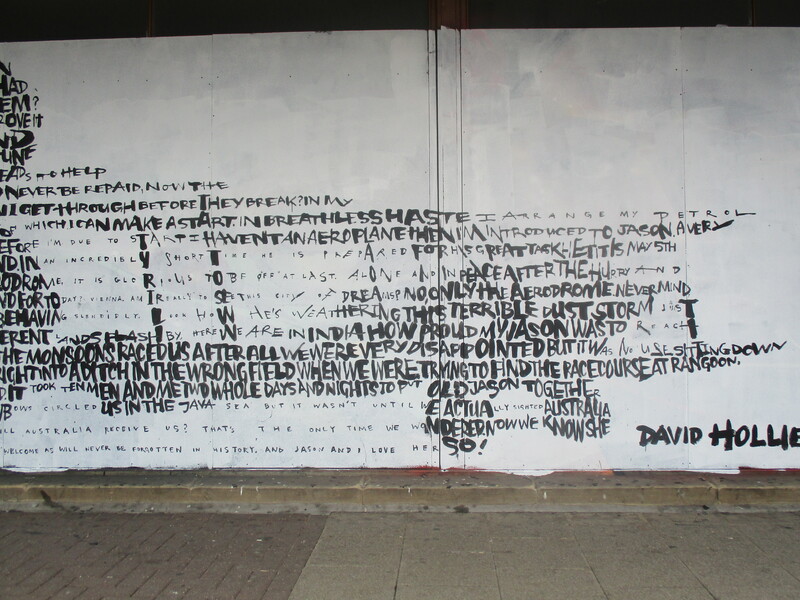 Anytime David Hollier, let us know when you next hit London and we will cover that also.